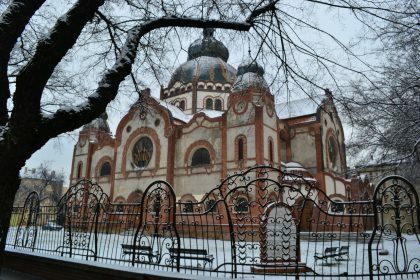 Subotica’s synagogue, built in 1903, was converted into a theater after the war. The building was renovated in 2005. It is located in the city center a few steps from city hall. In the Jewish cemetery, a monument commemorates the victims of the Shoah.